After lunch, my mother-in-law and I stopped into The Artful Ewe, one of the yarn stores- and it was like stepping into some sort of yarn-themed Harry Potter story. The tiny store was made housed in an old house, and literally ever surface was full of wool! 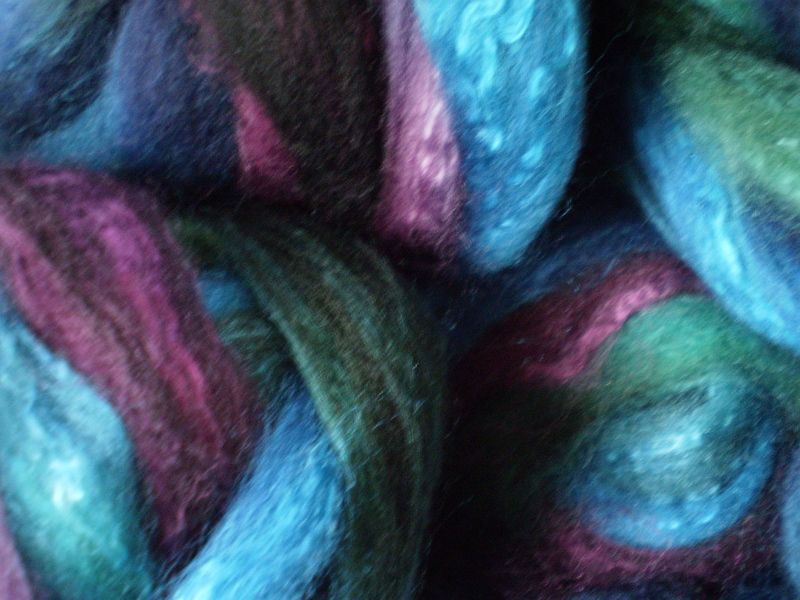 The floor was strewn with giant baskets full of fleeces, tables were overflowing with yarn, and the walls were decked with racks and racks of hand-dyed roving. There was even a tree in the middle of the room, hung with skeins of wool in every color of the rainbow! I should have taken a picture- but I was too distracted. And there was a pair of two tiny, proper, little greyhounds sitting in a wing-back chair- one of which was wearing a string of pearls instead of a collar. Like I said, this place was like something out of a storybook! So, of course, I had to buy some wool. I didn’t have a project in mind, so I first gravitated toward the big skeins of squishy hand-dyed sock yarn- always a good choice. I had almost picked out the skein I wanted. 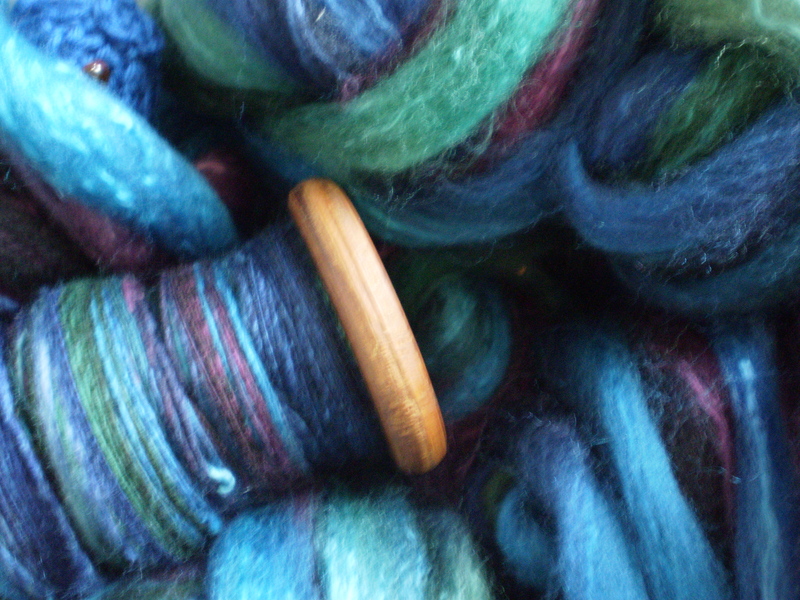 I spent the day yesterday spinning up about a third of the wool (I’m not very fast) into a fairly even, medium-sized single. It’s been fun to watch the different colors shift and change as they go into my spinning wheel- but maybe I’m just easily amused? Right now, I’m planning on making this wool into a worsted-ish 3-ply, but who knows how it’ll really end up. What do you think I should knit with it? Or should I just keep it as a pet? This entry was posted in On My Needles and tagged polwarth, port gamble, roving, silk, spin, spinning, the artful ewe, wool on April 11, 2016 by onemilljellybeans. It’s beautiful! Can’t wait to see how it turns out as yarn and then a project!